Over the Memorial weekend my mom, as she does for all holidays, asked me to make something sweet. If you've been following this blog for a while you know I have a weakness for cheesecakes. 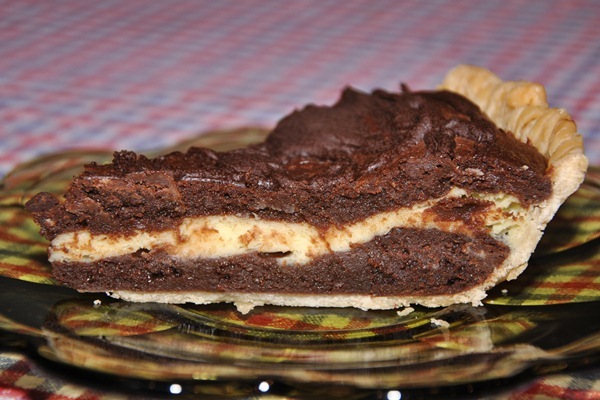 When I saw this Cream Cheese Brownie Pie recipe (HERE) I knew I needed to try it out as soon as possible. 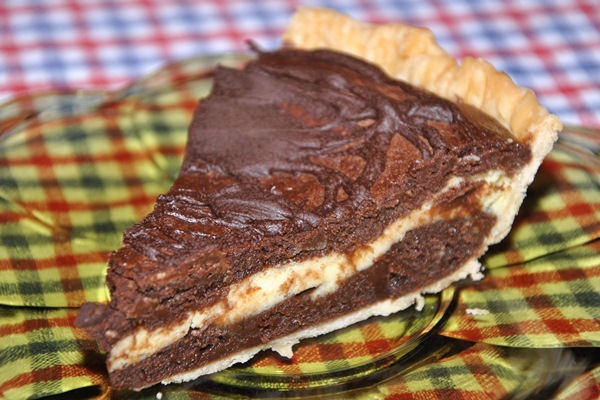 Hello- who doesn't like brownies or pie!? Combine the two, add cream cheese and it's a done deal for me! 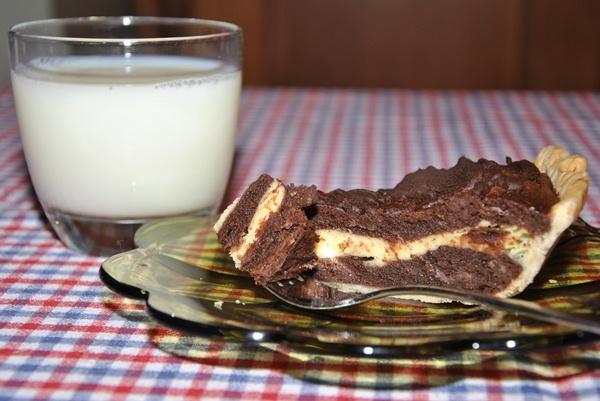 This Cream Cheese Brownie Pie (recipe HERE) is super rich and super sweet so you'll need a glass of milk to wash it down. The recipe gives you a tip to save 100 calories a slice by making a crust-less pie. I think I might try this next time- not to save calories but the crust just seemed a little lost and out of place with the rest of the pie. You might notice that my pie does not have white chocolate drizzled on top along with the bittersweet. That's because I hate white chocolate. I thought about adding peanut butter drizzle but surprisingly my house was all out of creamy peanut butter! (Gasp!) Okay, just looking at these pictures my mouth is watering...I can't take it anymore...I need to go grab another little slice! YUMMERS!!! I have to try this on the weekend, uh-mazing! That pie picture actually made me gasp. I'm a huge baker and cream cheese brownies are a personal fave. I'm definitely going to have to try out this recipe. Thanks!!! I don't know why I clicked to see more photos - now it's all I can think about! Oh my goodness that looks wickedly delicious! Brownie + cream cheese? Yes please!! Just came across your blog via IFB 30 over 30. It's so great to find fellow bloggers that aren't in their teens. I'm your newest follower.